I was sick all day yesterday, so naturally today for my first assignment at the York Fair, my editor sent me to the live-birthing station. 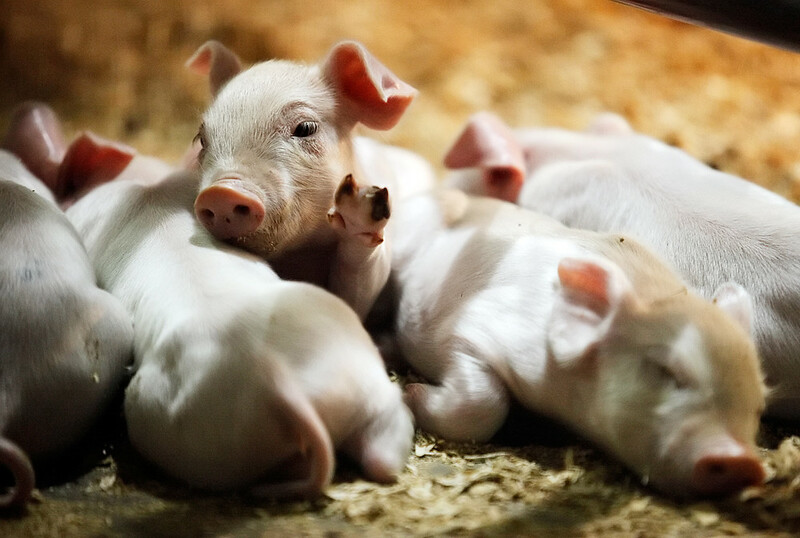 Everybody say, “SQUEEEE!” for piglets! © 2011 by The York Daily Record/Sunday News. Five piglets nestle together on Wednesday, Sept. 14, 2011, after nursing with their mother, who gave birth to her seventh litter on Sunday in the Animal Birthing Center inside the Toyota Arena at the York Fair. A cow, two pigs, two sheep and four guinea pigs are on display, along with their newborn offspring, at the Animal Birthing Center. All the animals are on display courtesy of their respective farms, with one pregnant pig remaining to give birth. © 2011 by The York Daily Record/Sunday News. 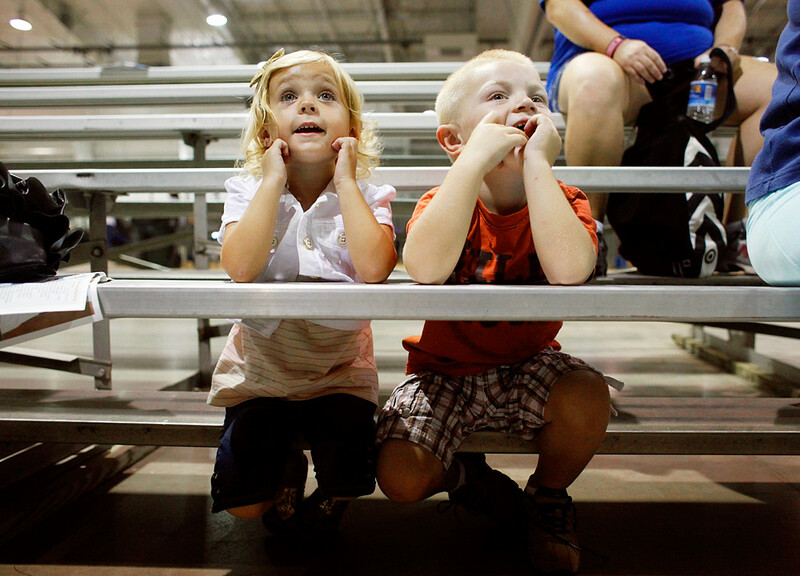 Cousins Alaina Harlacher, 4 of Dover Township, and Bryson Harlacher, 3 of Wellsville, watch a projected video of a cow giving birth at the Animal Birthing Center in the Toyota Arena on Wednesday, Sept. 14, 2011, at the York Fair. Alaina's mother Jennifer, who is five months pregnant, said she anticipates her daughter to ask a few more questions about pregnancy and birth. The video, showing Thomasville dairy farmer Leroy Walker's cow giving birth on Sunday, was playing on a continous loop.